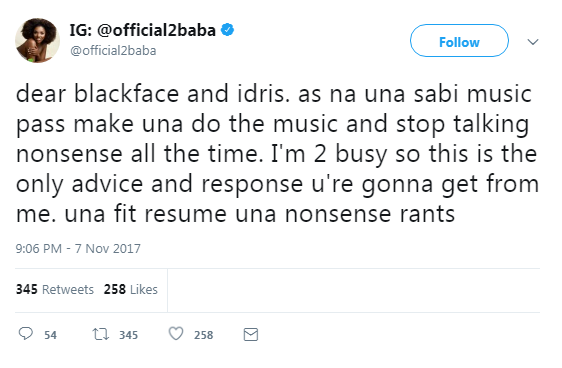 Nigerian music legend, Tuface Idibia has lost his cool and he just went off on a twitter rant blasting his ex-band member Blackface alongside Eedris Abdulkareem. Tuface is reacting to Blackface’s recent interview on Pulseng’s ‘Loose Talk’ podcast where he criticised his lyrics. 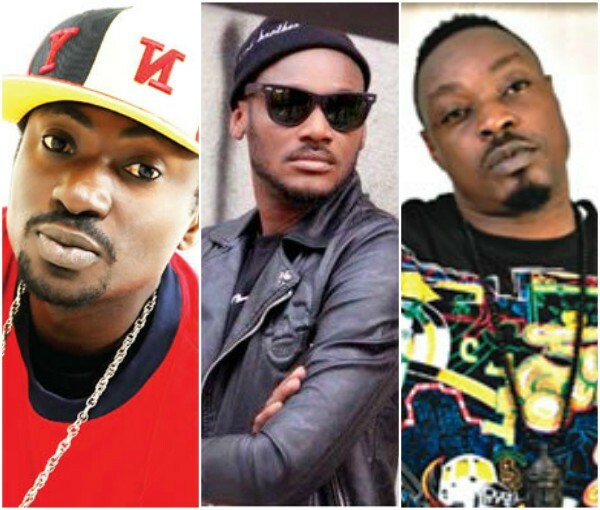 Eedris in an interview had also slammed TuFace, saying he only does love songs and impregnates women.